Located in the heart of the Theatre District in New York City, the Studio’s landmark structure on West 44th Street houses offices, rehearsal spaces, the Paul Newman Library, and a 99-seat theatre. Sessions are private, but the theatre opens to the public occasionally when our work is considered ready for an audience. These offerings are free to the public, however, donations are always welcome. The Actors Studio in New York serves as the creative home and administrative headquarters for both the New York Actors Studio and its only branch, Actors Studio West, located in West Hollywood, CA. Acting sessions are the heartbeat of our organization. These sessions provide a twice-weekly venue for members to receive insights and constructive commentary on characters or scenes of their own choosing and from their own motivation. When the work is ready, it is brought into session where a moderator will lead a group discussion, manage feedback from the other members present, and offer guidance for further exploration. Many of our moderators are renowned in the theatre and film industries. If the work in session evolves in an exciting and organic way, it can be developed into a staged project, open to the public for free. See highlights of current and past projects. Acting Sessions are not open to the public. 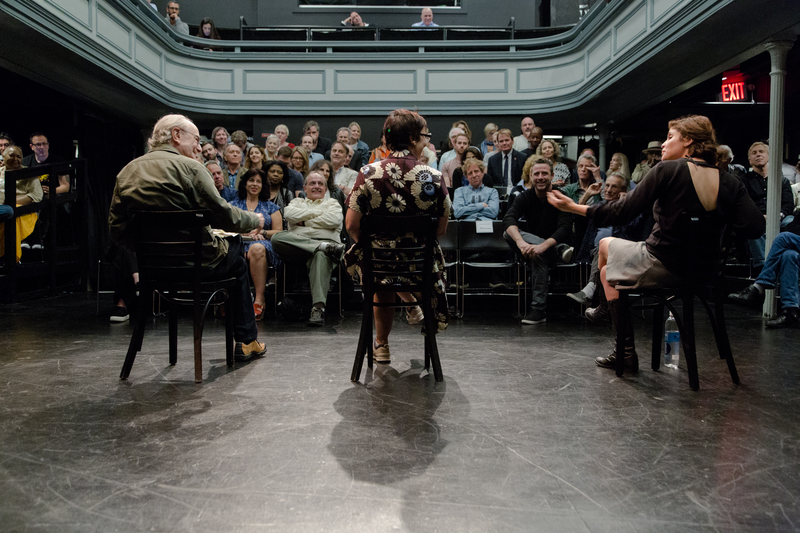 The Playwright/Directors Unit at The Actors Studio has a long history on both coasts. After two trial runs by Clifford Odets and Robert Anderson, Elia Kazan and William Inge created the first permanent ‘Playwrights Unit’ in 1957. It has since evolved into one of the most important components of The Actors Studio. 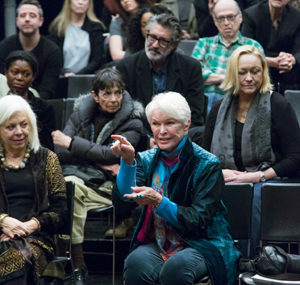 Notable participants in the PDU have included Edward Albee, Tennessee Williams, Norman Mailer, Harold Clurman, Mark Rydell, James Baldwin, Lorraine Hansberry, Terrence McNally, and Arthur Kopit, among many others. Rehearsed, directed readings of new plays are presented each week and then critiqued by the members of the PDU and by that week’s Moderator. It is a supportive, constructive environment, encouraging to the playwright and director. PDU membership is seasonal and must be renewed annually. PDU members attend the acting sessions at The Actors Studio in order to familiarize themselves with Studio membership. Lyle Kessler is the Director of the PDU in New York and is one of the Moderators. Other Moderators consist of major dramatists and directors including John Patrick Shanley, Jose Rivera, Michael Weller, John Guare, Stephen Guirgis, Peter Maloney, Chazz Palminteri, Ron Beverly, and others. Past Directors have included Patricia Bosworth, William Inge, Molly Kazan, Arthur Penn, and Estelle Parsons. We accept submissions from playwrights residing in the New York City Metropolitan area and other surrounding areas. Please understand that this is a weekly developmental unit and all members are expected to attend regularly to participate in unit discussions and readings. Membership is granted on a yearly basis and is subject to yearly renewal. Please observe the following guidelines to make a submission. Please submit a PDF file of a new, full-length, unproduced play (at least 70 pages) with no identifying credentials other than the title. No one-person or monologue collections, please. Submit a bio or resume on a separate PDF file which includes your history as a playwright and also gives all contact information including place of residence. Submit these two items to pdu@theactorsstudio.orgwith the words “Play Submission” in the subject line. Please allow 2-3 months for the reading process to proceed and you will be notified of your status by email. PDU sessions are not open to the public. Originally established in 2004 in New York, to accommodate graduates from The Actors Studio Drama School MFA Program at Pace University, the Playwright/Director's Workshop (PDW) continues to grow its membership with the best of our post-graduates and other theatre professionals. 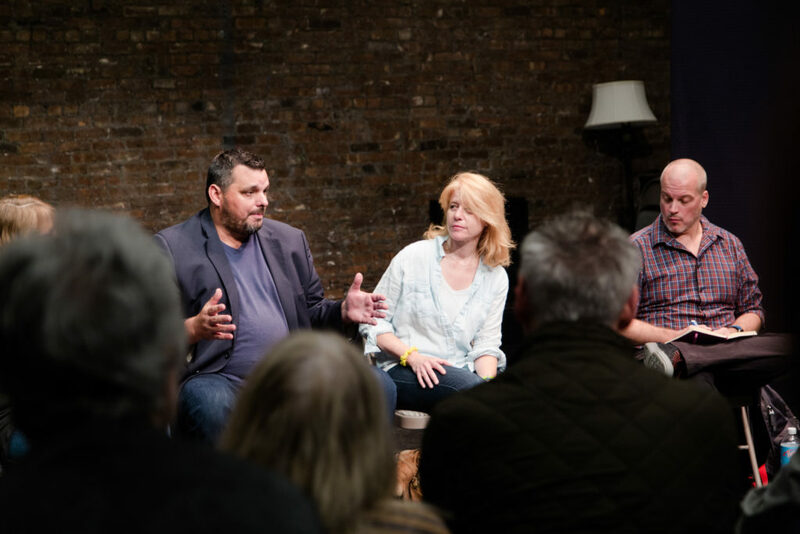 At its core, the PDW is a collective of playwright/director teams who commit to the development of one full-length play per season (no one acts, musicals or screenplays). The works in development are presented in session in twenty-minute segments throughout our season. These are moderated sessions with senior members from the Workshop offering their constructive insight to help foster the development of the work. At the end of each season, a handful of completed works are selected to take part in the PDW Festival of New Works. Membership in the Workshop is on a seasonal basis and is curated by the PDW Administrative Team. PDW sessions are not open to the public. When the work in our ongoing sessions or units is deemed ready for public viewing, audiences are invited in for free. To see a calendar of free performances open to the public, please see our calendar. To see a selection of current and past performance highlights, click here. To be informed of upcoming productions in New York, please email reservations@theactorsstudio.org and ask to be added to our Patrons List. You will be notified in advance and offered full information on how to make a reservation.